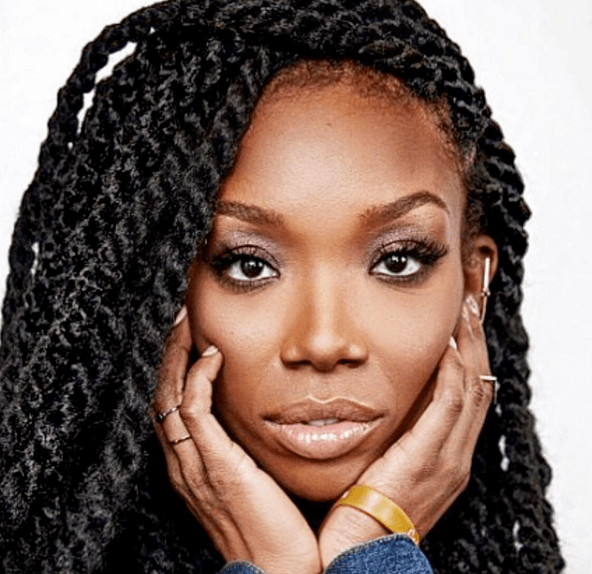 At this week’s Soul Train Music Awards, Brandy showed (once again) that her voice is unrivaled and timeless as she took home the Lady of Soul Award. Not only that, as they walked through her decades-long career, it showed how strong her music catalog truly is when compared to others in the industry. But, the fact is, she has never gotten the shine she deserves. Meanwhile, many other artists of much lesser talent, stay collecting checks. Just in case you needed it, here is the definitive list of your faves who couldn’t out sing Brandy if they tried. I’ve come for Ms. Fenty time and time again, and it’s for good reason. For a singer, her actual singing track record is flimsy as hell. Yes, “WERK” goes hard, but when one of your biggest hits literally only has a 3 note range, it just proves that there is no better example of the declining taste of humans. Not convinced? Just listen to Brandy singing a piece of “Diamonds” while seated in a dressing room. Remember when Whitney Houston and Mariah Carey were battling for the title of baddest diva? That moment has passed, and while time has eroded the brilliance in Mariah’s voice, it has only refined Brandy’s vocal chords. Whether you love or hate A Seat At The Table, we can all agree that Beyoncé got 98.3% of the singing talent in her generation of her family. These are facts. Brandy would TKO Solange is any octave the younger Knowles would choose (i.e. the only one she can make audible tones in). Can we put this to rest now? Brandy has always outsung Monica. There was never any doubt. There was never any competition. It all belongs to her and the boy was hers. That’s why anybody with half a measure of sense was singing along with Brandy’s adlibs on both of those songs and not Monica’s She said “chile bye” to the #SoGoneChallenge out of respect for Monica. She didn’t want to upstage her on her own track. I love me some Alicia Keys. I really do. But let’s not front like she doesn’t suffer from some of those Mary J. Blige tendencies. She writes great songs and clearly has an ear for music, but Brandy was blowing her off the stage way back when she was on Thea. The youngest Braxton singer has been working hard to make a name for herself separate from her superstar sister, and the status she has achieved is well deserved. Tamar can sing her face off, and people sleep in her all the time. Howsoever, don’t get it twisted. While Tamar can hit some notes, Brandy has a voice molded from the very essence of blackness. Chrisette Michelle gets points for originality. But true artistry is a marathon, and she’s been running 100 meter dashes for years. Brandy, on the other hand, runs marathons without even needing to dab her brow or re-hydrate. She’s not parched, and she could drag Chrisette Michelle up and down octaves of scales, being sure not to skip the sharps and flats. Jhene Aiko is one of those artists who really benefits from strong production and a pleasing tone. So basically, she’s just like Brandy except without the vocal mastery or ability. That’s why I’m glad she was heaping the praise on Brandy at the Soul Train Awards. She knows who is the mother and who is the daughter. K Michelle may go down as one of the reality show cast member to most successfully spin that TV exposure into an actual music career, but the Love and Hip Hop songstress ain’t got nuthin on Brandy. No matter how much gruffness she puts on or how hard she might belt, just a simple trill from the vocal bible makes all of her effort seem for naught. Erykah Badu is one of those artists that has done so much good and cast so much shade that you can’t help but love her. But in watching her host the Soul Train Awards, I was painfully reminded that her voice as simply unimpressive. She’s whiny, she cuts off her phrases, and doesn’t provide anything vocally that a 10th-grade high school soloist couldn’t. Sure, her style is one-of-a-kind and she had generated some timeless tracks, but Brandy can do all those things , shut down the Broadway stage, and sell you a quality wig all while humming a more intoxicating song. And just in case you missed the performance or forgot just how dope Brandy is, check out the 9 1/2 minute performance below.